A summer stay at a country house turns spooky for seven schoolgirls. 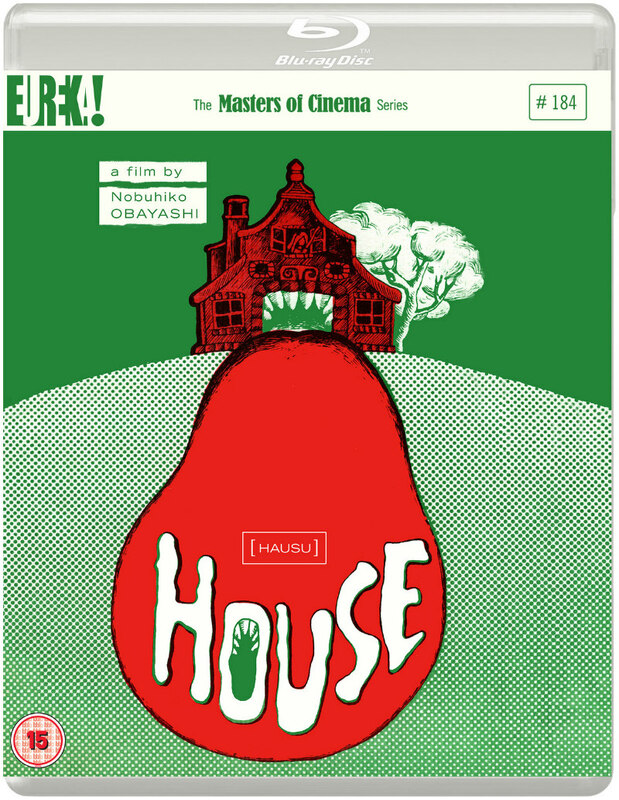 With its scantily clad schoolgirl heroines, creative violence and disregard for conventional storytelling, 1977's House (aka Hausu) could be considered the definitive representation of Japanese genre cinema, the first movie you might show a friend to let them know what outre thrills can be found in the movies of the Far East. Ironically, the brief given to director Nobuhiko Ôbayashi by the suits at Toho Studios was to deliver a movie with very western sensibilities. While in the 1950s and '60s, Ozu and Kurosawa had filled European arthouses and Toho's Kaiju movies had delighted a generation of American monster kids, by the '70s the situation had been reversed, with Japanese audiences shunning domestic cinema in favour of the new blockbusters emerging from Hollywood. Having directed a host of commercials featuring Hollywood stars (including the infamous Charles Bronson promo for Mandom aftershave), Ôbayashi seemed well equipped to clue into the western zeitgeist. House's loose plot follows six schoolgirls (named, Seven Dwarves and Spice Girls style, for their attributes and personality types) who accompany a classmate, Angel (Kimiko Ikegami), on a summer trip to the secluded rural home of her aunt (Yōko Minamida). Angel was originally set to spend the summer with her father, but threw a fit upon discovering he had remarried. Still mourning the passing of her mother a few years earlier, Angel is consumed with rage, prompting her to look up the aunt she hasn't seen in years. Once at the house, it soon becomes apparent something isn't quite right. A mysterious, winged creature buzzes past the girls on arrival, rats attack them and severed heads emerge from the garden well. But that's just the beginning of the phantasmagorical experience that is House. Ôbayashi's western influences are clear to see, the film seemingly inspired by everything from H.R. Pufnstuf to Scooby Doo to The Wizard of Oz. Pop group Godiego (best known to western audiences for their work on cult TV show Monkey) delivers a score that veers between American West Coast psychedelic and British prog rock. Look closely however and you'll see that House is far from a celebration of western culture, rather a mournful commentary on how Japan is selling out its own traditions as part of the process of presenting a friendly face to the West in the wake of WWII. The tagline for House read 'The cutest nightmare you'll ever have,' and many in Japan felt like this new embracing of 'cuteness' equated to an emasculation of their culture, their national symbol morphing from samurai to schoolgirl. There's perhaps no greater image of western cultural appropriation than that of an Asian child playing a piano, so it's probably not a coincidence that one of the more memorable set-pieces in Ôbayashi's film features a schoolgirl literally devoured by the instrument. In a flashback sequence, we're told of how Angel's aunt has been waiting for the ghost of her husband, who never came back from the war, to return to her home and give her spiritual closure (a theme explored in recent Japanese films Journey to the Shore and Nagasaki: Memories of My Son). Her inability to draw a line under her mourning has led her to act out her anger, using the house itself as a weapon. The home ultimately becomes a vessel also for Angel's rage towards her stepmother (Haruko Wanibuchi). House is a rare film that acknowledges the role anger plays in the grieving process, and it isn't scornful of Angel's fury. Ôbayashi - like many Japanese filmmakers, who have arguably explored the topic of loss more than any other nation's artists - knows that anger can be healthy when sated by fantasy. An informative video essay by critic and filmmaker David Cairns; 90 minutes of archive interviews with Obayashi, scenarist Chigumi Obayashi, actress Kumiko Oba, and Toho promotional executive Shoho Tomiyama; original trailer; and a booklet with writing by Paul Roquet. House is released on blu-ray by Eureka Entertainment February 12th.